Attorney James C. Shields provides high caliber, effective legal representation to clients all throughout Southern California. 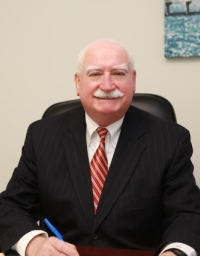 He focuses on select areas of law including bankruptcy, estate planning and probate and he has a proven track record under his belt. With decades of legal experience, Attorney Shields is admitted to practice law in California, Oregon and Arizona. He obtained his Juris Degree from Loyola Law School in Los Angeles back in 1984 and since then, he has opened up five separate law offices so that he can better serve Southern California residents. Attorney Shields assists clients with filing for bankruptcy, foreclosure defense, wills, trusts, estate planning, probate, conservatorship, guardianships and much more. So let his experience work for you! He puts focused attention and energy into every case so that you can obtain the most favorable outcome. 23 years since James Shields was first licensed to practice law.